Ahh role-playing, is there anything better than pretending to be someone you are not? To create a character and mold them to your personal liking? Whether you want to be a spell slinging mage to or a sniper rifle wielding soldier you get to choose. Our nominees for best RPG of the year are as follows. And the winner is Mass Effect 3. Say what you will about how the game ended (which I did not mind by the way) the game was good. 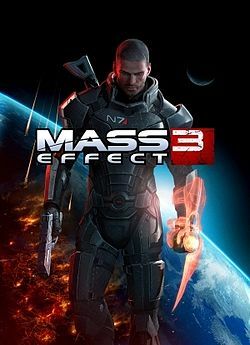 It was fun and maintained what we enjoyed about the other Mass Effect games. You could customize your class to fit your play style, and if you were fortunate enough to have played Mass Effect 2 on the same system you played Mass Effect 3 then your character choices and character levels mover over to the new game. Whether you love or hate the story, the game itself was great.